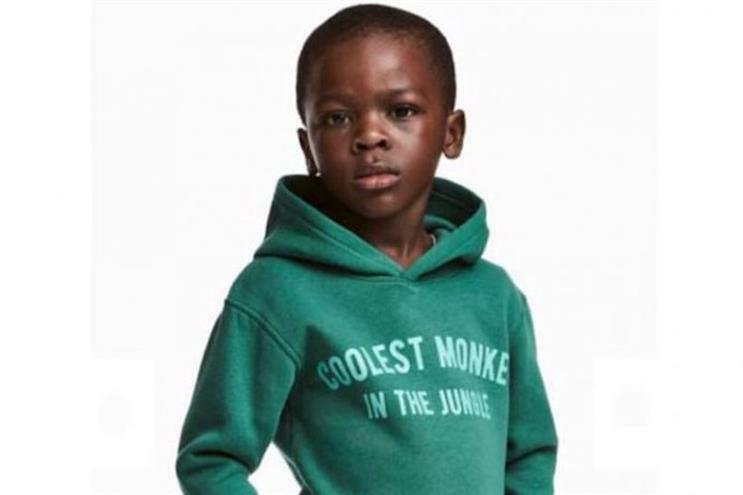 Fast-fashion retailer H&M has been called out for "casual racism" over using a black boy to model a sweatshirt with the words "coolest monkey in the jungle". The backlash was exacerbated by the retailer's use of only white boys to model the range’s other sweatshirts with the words "Mangrove jungle survival expert" and images of animals. A spokeswoman for the retailer told the Telegraph that the offending image had been removed and apologised to "anyone who it may have offended". We understand that many people are upset about the image. We, who work at H&M, can only agree. We are deeply sorry that the picture was taken, and we also regret the actual print. Therefore, we have not only removed the image from our channels, but also the garment from our product offering. It is obvious that our routines have not been followed properly. This is without any doubt. We will thoroughly investigate why this happened to prevent this type of mistake from happening again. The Twitter backlash was joined by Labour MP Kate Osamor, who tweeted: "I was totally shocked, dismayed to say the very least to find this online imagine [sic]. @hm do you think this imagery is an appropriate representation of a young black boy?" In addition, Canadian singer The Weeknd has announced on Twitter that he would no longer be working with the brand following this incident. H&M has been contacted for comment but has not yet responded.